25 Mar What is Cryptocurrency? A cryptocurrency is a virtual currency that can be used to exchange services and goods through electronic transactions without the presence of an intermediary. It is a decentralized form of currency, meaning it is not controlled by any financial institution, government or bank. Your privacy is also maintained when making transactions. The coins are stored in a personal wallet that has a non-transferable code known only to you. There’s no intermediary, and all transactions are done from person to person. Transactions are also quick. It takes only a few minutes to send money. The first cryptocurrency is Bitcoin introduced in 2009 by Satoshi Nakamoto. Bitcoin is an intangible and virtual currency. It has no physical form, but it can be used to pay for goods or services. Bitcoin is not controlled by any institution, financial entity or government. This lack of control makes it impossible for any entity to cause inflation by producing more Bitcoins or manipulate its value. Bitcoin’s value is based on supply and demand. 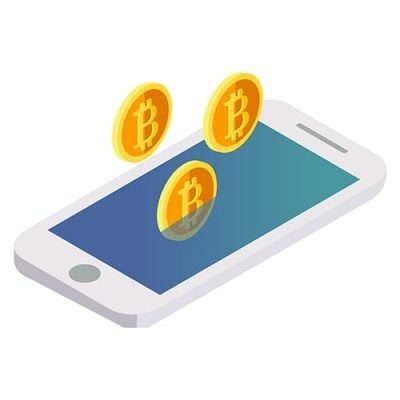 It’s computed using an algorithm that measures the number of transactions with Bitcoin in real time. You can mine cryptocurrencies. Miners solve complicated cryptographic puzzles and record it in the Blockchain, a distributed public ledger. The puzzles are continually increasing, matching it with the number of people attempting to solve it. People want to mine a popular cryptocurrency. The process also becomes more difficult. Many people have earned a lot from mining Bitcoins. Before, you could make a substantial income from mining using a powerful enough laptop or only your computer. Today, mining cryptocurrencies can only become profitable if you are willing to buy industrial-grade mining hardware. However, this hardware consumes a lot of power, and this means paying for higher electricity bills. You also need to invest a large amount of cash in buying the required equipment. As a beginner, you may want to try mining Feathercoins, Litecoins and Dogecoins as these cryptocurrencies are cost-effective. You may be able to earn 50 cents to $10 every day using consumer-grade hardware. The more computing power you accumulate, the more chances you have of solving the puzzles. Once you solve the puzzle, you get a transaction fee and reward. However, the number of coins given as a reward is lesser since cryptocurrencies attract higher interest. Mining also becomes harder. For instance, the reward for successfully mining Bitcoin when it was first created was 50 BTC. Today, the reward is only 12.5 BTC because the Bitcoin network is designed to ensure that only 21 million coins are in circulation. Almost 17 million BTC have been mined and distributed as of November 2017. Rewards are going to become smaller, but every BTC mined will become more valuable. Those factors make mining cryptocurrencies an extremely competitive activity that rewards those to adapt it early on. Depending on your jurisdiction, any profit you mad through mining can be subject to money transmitting and taxation regulations. In the US, mining and exchanging of cryptocurrencies for fiat currencies may be considered money is transmitting. Miners have to follow special regulations and laws dealing with cryptocurrency mining. Cryptocurrencies are a high-risk investment as their market value fluctuates. It is also partly unregulated, so there’s always a risk of these virtual currencies getting barred in certain jurisdictions. Cryptocurrency exchanges can get hacked as well. If you want to invest in cryptocurrencies, you should carefully consider your options. Bitcoin is not the only cryptocurrency available. Other options include Ethereum, Litecoin, Ripple, and Monero. When you purchase a cryptocurrency, you need to store it. Major exchanges provide wallet services. If you are looking for a secure way to store your coins, you may want to consider investing in a hardware wallet or storing your coins on your hard drive. This gives you complete control over your assets. It is also important to pay attention to the market value of the cryptocurrencies and any news related to them. You may want to track the market cap, circulation supply, price and volume of most existing cryptocurrencies. Depending on your jurisdiction, you may need to include any loss or profit you’ve made from investing in cryptocurrencies in your tax report. Cryptocurrencies are treated differently from one country to another. For instance, Bitcoins and other cryptocurrencies are taxed as property in the United States. Accumulated long-term losses and gains from cryptocurrency trading are taxed at the applicable capital gains rate of the investor. Some businesses have already started accepting cryptocurrencies as payments for their services and products. If you have a business and you want to attract more prospects, you should consider accepting cryptocurrencies. The interest in digital currencies will continue to increase. The number of crypto-ATMs is also increasing. There are approximately 1,800 crypto-ATMs in 58 countries. If you want to accept cryptocurrencies, you should tell your customers about it. You can put a sign by the cash register. The payments can be accepted using wallet addresses, touch screen apps or hardware terminals through QR codes. In the US, Bitcoin and other digital currencies have been considered as a convertible virtual currency. Cryptocurrencies are accepted as a form of payment. Various services can be used to accept payments in digital currencies such as BitPay, Cryptonator, and CoinGate. CoinPayments accepts more than 75 different cryptocurrencies and charge only 0.5% commission per transaction. US-based businesses that accept cryptocurrencies have to record the date of the transaction, a reference of sales and amount received in a particular currency. For payable sales taxes, the amount due is computed based on the average exchange rate at the time of sale. Cryptocurrencies are becoming more popular and common. Tax authorities, legal regulators and law enforcement agencies are trying to understand the concept of digital currencies and where it fits in in current legal frameworks and regulations. Self-sustained and decentralized digital currencies will cause an uproar among the regulators. Many concerns have been raised about the decentralized nature of cryptocurrencies. Digital currencies can be used almost entirely anonymously, and the authorities are worried about the appeal of cryptocurrencies to the traders of illegal services and goods. They are also concerned about the use of cryptocurrencies in tax evasion schemes and money laundering. The usage of cryptocurrencies is not illegal in other jurisdictions, but the regulations and laws can vary significantly depending on the state.